Nagpur : A 17-year-old girl has been found dead at her residence in Nagpur. 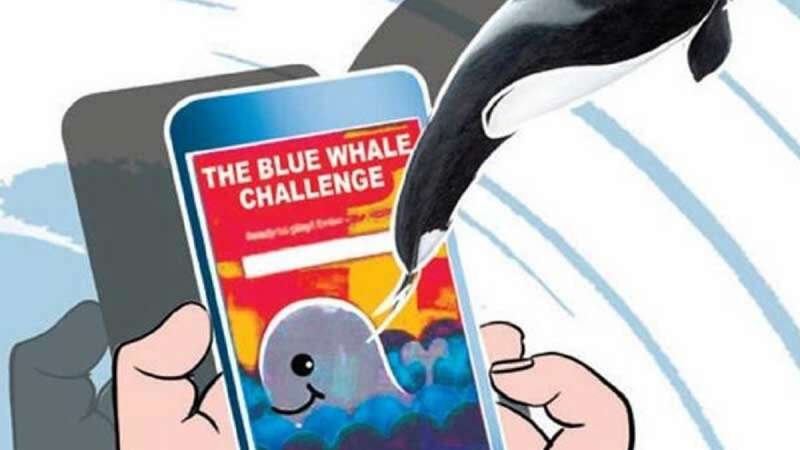 The cops suspect that she committed suicide under the influence of suicide games like Blue Whale Challenge. The girl was found hanging from the ceiling fan in her study room and on one of her hands it was written "cut here to exit". “The girl hanged herself by a dupatta to the ceiling fan of her room on the first floor of her house where she used to study,” said Police Inspector Vijay Talware of Beltarodi police station. Talware added, “we found that there was ‘cut here to exit ‘ written on her hand, giving rise to suspicion that she may have been a mobile game addict. Her father, a retired air force personnel, has said that she used to play mobile games. But the exact reason behind the suicide would be known only after we receive a report from the forensic and cyber expert”. It has also been found that the girl was depressed with her class 12 score as she had failed to find admission in any reputed college.